Plantar fibromatosis is a benign tumor specific to the plantar fascia. Plantar fibromatosis presents with firm, subdermal bumps, or nodules, that are found within the plantar fascia. The onset of plantar fibromatosis varies with each patient. The plantar fibromatosis nodules are slow growing and vary in size and location. In some cases, the nodules may lie dormant for months to years only to begin rapid and unexpected growth. Plantar fibromatosis presents more in women than men. 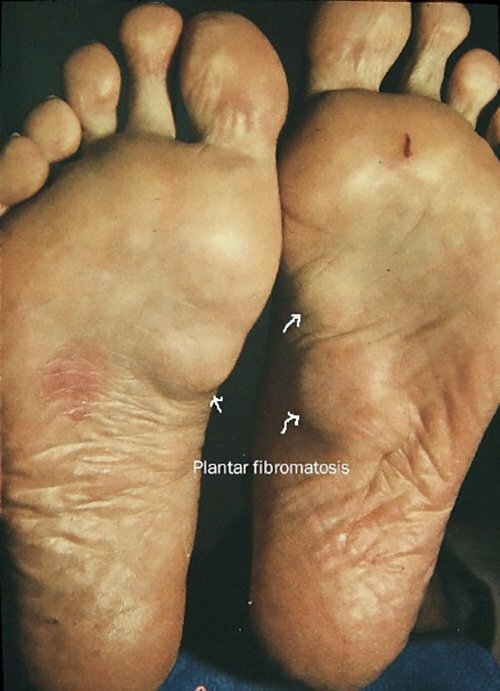 Plantar fibromatosis is found in individuals ranging from 25 to 60 years of age. 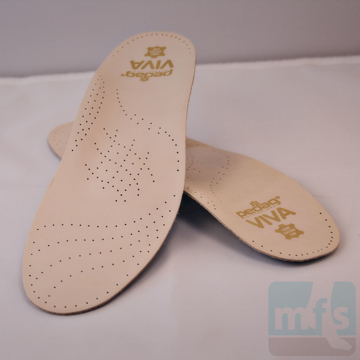 The plantar fascia extends from the bottom of the heel to the toes and can easily be felt in the bottom of most feet. The plantar fascia originates from the medial and lateral tubercles of the plantar calcaneus. The plantar fascia is a very strong, inelastic structure when placed under stress. 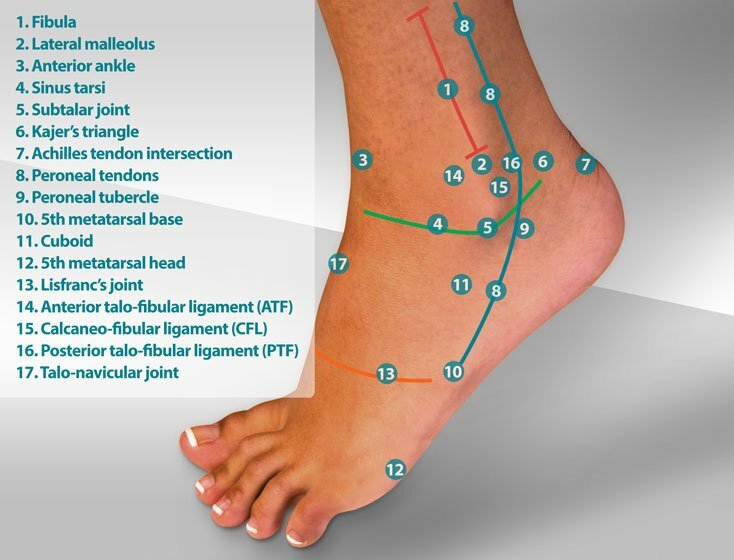 The plantar fascia typically consists of two distinct bands: a larger medial (inside of the heel) band and a smaller lateral (outside of the heel) band. Plantar fibromatosis nodules can be found within any portion of the plantar fascia. The vast majority of cases of plantar fibromatosis will be found in the mid-arch within the medial band of fascia. Initial nodules are found in the mid-arch and tend to proliferate distally. There remains some degree of disagreement in the literature regarding the etiology of plantar fibromatosis. Repetitive mechanical load applied to the fascia by the calf does seem to be the most common explanation for injury to the fascia. This mechanical load delivered by the calf muscle results in a micro tear of the fascia. The plantar fascia responds in a healing process that results in an over-proliferation of tissue. This over-proliferation of tissue is termed fibromatosis. 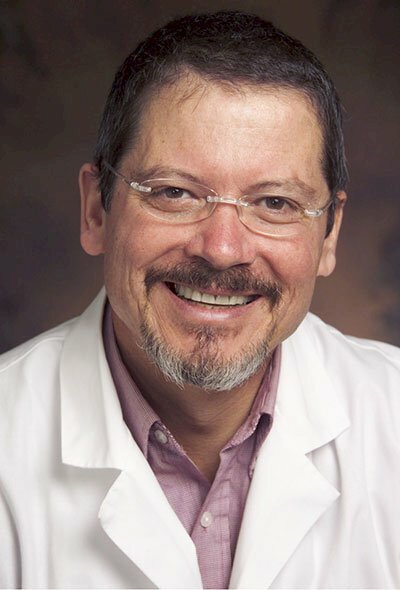 Other authors have proposed another, less-accepted theory that plantar fibromatosis is congenital in origin. Smoking, diabetes, obesity, prolonged standing or foot type do not seem to be contributing factors to plantar fibromatosis. 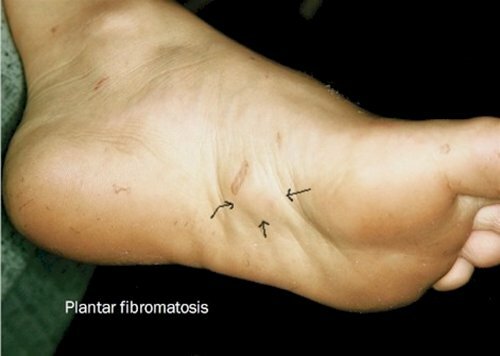 Initial conservative treatment of plantar fibromatosis includes avoidance of direct pressure to the plantar fibromatosis nodules. In many cases, the only pain found with this condition is when the nodule is irritated by direct pressure from the shoe or floor. 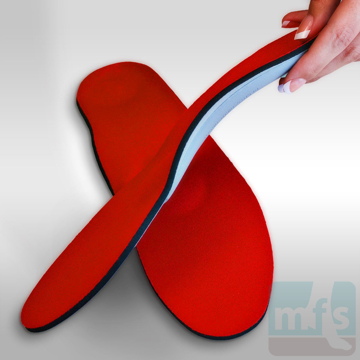 Soft arch supports and padding may be helpful to pad and cushion the plantar fibromatosis nodules. If plantar fibromatosis is due to mechanical load applied to the plantar fascia from the calf and Achilles tendon, weakening the calf with calf stretches or the use of a heel lift can help. Night splints have also been successfully used to weaken the calf. If plantar fibromatosis becomes painful, surgical excision of the nodules may become necessary. 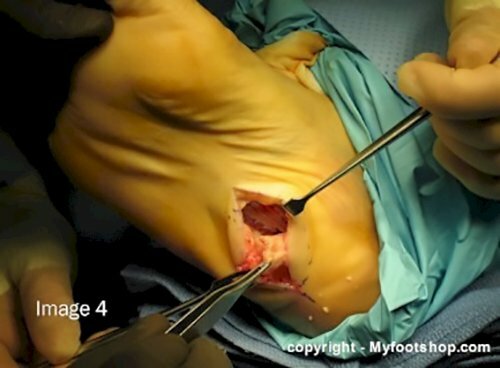 Surgery for plantar fibromatosis requires an incision on the bottom of the foot. 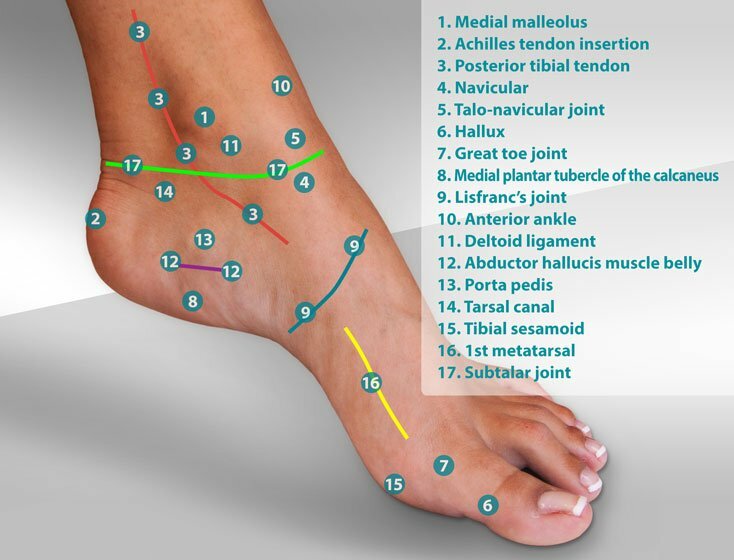 When a plantar incision is used, patients are required to be non-weight bearing for a 3 week period of time. 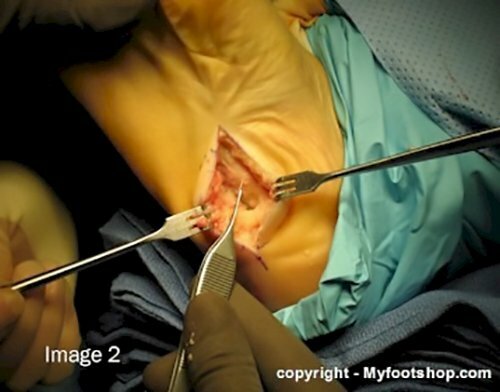 Non-weight bearing following surgery is important to prevent the formation of excessive scar tissue at the site of the incision. One important consideration with plantar fibromatosis surgery is the high regrowth rate of plantar fibromatosis nodules. The literature cites regrowth rates of plantar fibromatosis as high as 25%. Subsequently, in an effort to limit regrowth, most surgeons are going to be aggressive with their dissection and choice of procedures to excise plantar fibromatosis nodules. The following images show the steps used to excise plantar fibromatosis. This procedure is performed in a surgery center or hospital and can be completed using either a local or general anesthetic. The procedure takes between 30-45 minutes to complete. Patients are non-weight bearing for 21 days following the procedure. 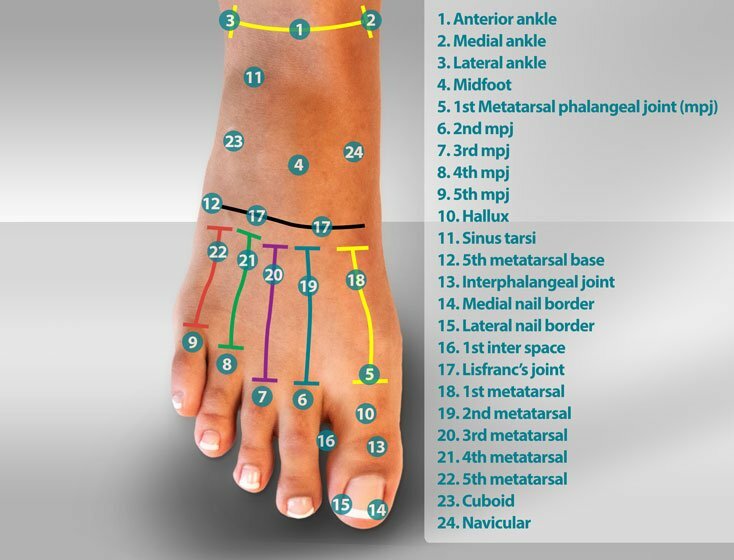 To ensure proper diagnosis, nodules of the bottom of the foot should be evaluated by your podiatrist or orthopedist. Most recent article update: December 4, 2018. 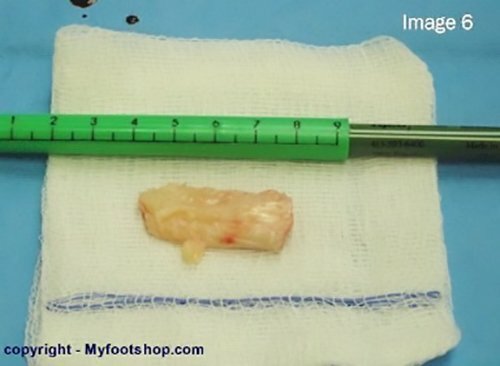 Plantar Fibromatosis by Myfootshop.com is licensed under a Creative Commons Attribution-NonCommercial 3.0 Unported License.